"- No te sientas amenazado por personas más inteligentes que tu. - Comprométete a cualquier cosa, pero siempre con tus valores fundamentales. 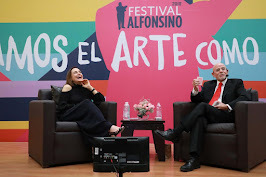 - Busca renovarte incluso cuando estés bateando “jonrones”. "- Don't be threatened by people smarter than you. - Compromise anything but your core values. 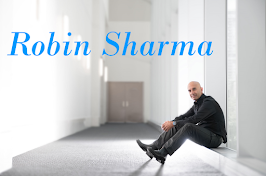 - Seek to renew yourself even when you are hitting home runs. 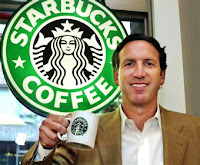 HowardSchultz (Brooklyn, Nueva York, E.U.A. 1953) Empresario estadounidense, presidente y consejero delegado de Starbucks Coffee Company, una cadena de cafeterías con una particular filosofía de los negocios que cuenta con casi 20,000 establecimientos en todo el mundo. 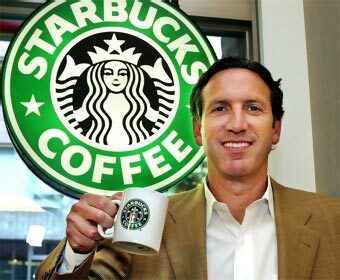 Howard Schultz (born July 19, 1953) is an American businessman and writer. He is best known as founder, chairman and CEO of Starbucks and a former owner of the Seattle SuperSonics. Schultz co-founded Maveron, an investment group, in 1998 with Dan Levitan. In 2006, Forbes magazine ranked Schultz as the 354th richest person in the United States, with a net worth of $1.1 billion.